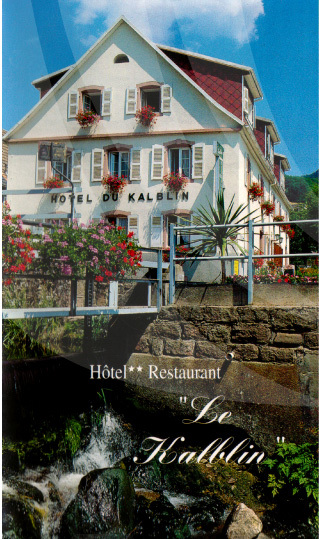 The Hotel-Restaurant of the Kalblin is pleased to welcome you on this site, before welcoming you in the wonderful region of Alsace. We are situated in Fréland, which is a picturesque village five minutes away from Kaysersberg. The charm and the cookery of the kalblin hotel will seduce you, as well as its ideal situation in the region between the traditional wine route, and the Route des Crêtes, a strategic road built during the First World War to ensure communications on the Vosges front line. Free internet in the Hotel. Owner Anne et Jean luc KEDINGER.